Modernising the bathroom for 2019 doesn’t always require a full refit. It’s possible to make any bathroom more contemporary or even give it a new look by taking away the old accessories and replacing them with new ones. It’s a simple job to perform and the transformation of the bathroom can be quite dramatic. Here are some of the top essential accessories – ideal if you’re planning on upgrading your bathroom, looking to sell in the future or you’re hoping to make your bathroom a more enjoyable space. Keuco Edition 11 Shower Basket – Elegant and practical with rounded edges. Keuco Plan Toilet Paper Holder with Shelf – The perfect bathroom accessory for modern families and those that love to take their mobile phone with them wherever they go! Keuco Universal Shower Seat – Adding a shower seat will increase the enjoyment of a shower. 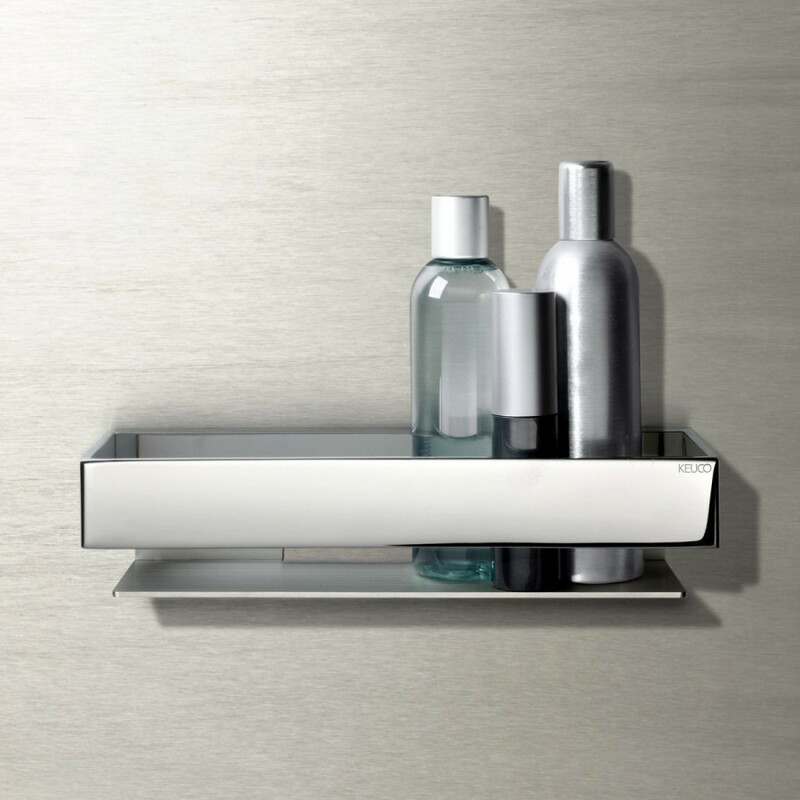 Use the shelf as a bathroom aid, a useful shelf and upgrade your showering appearance. Impey Wet Room Foot Rest – The foot rest is an essential bathroom accessory, especially in wet rooms where space is limited. The foot rest is inconspicuous but highly useful for providing support for the foot when performing tasks such as shaving legs or washing feet. Impey Wet Room Shower Squeegee – The squeegee helps to keep the wet room looking at its best. The squeegee comes with a matching wall bracket, coating in chrome for a modern look, perfect for 2019. Hansgrohe Croma Air 1 Jet Overhead Shower – Changing the shower head can transform the shower. The Air 1 Jet shower provides a unique showering experience, recreating the feeling of exhilarating rain thanks to the RainAir spray pattern. Any of the bathroom accessories will be a welcome addition to a modern bathroom for 2019. These are just a small selection of the options that are available here at Bathrooms Direct Yorkshire.